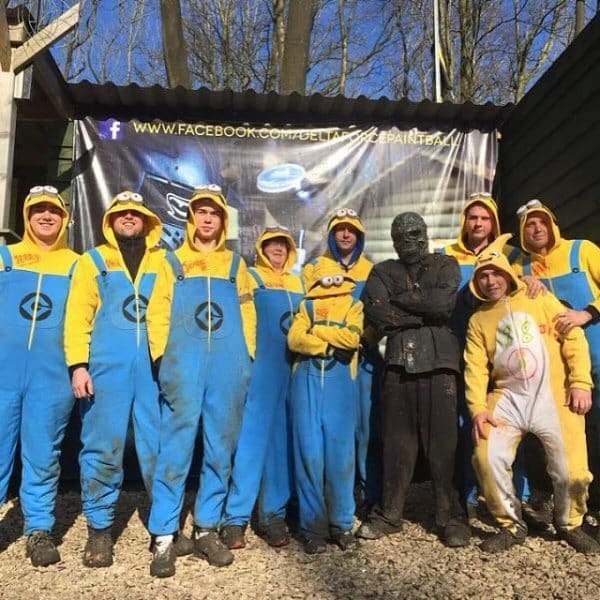 Whether you’re visiting Delta Force Paintball on a stag do, hen do or just a fun day with mates, it’s vitally important you’re donning the correct paintball gear. Not only so you can assume the role of Rambo for the day, but also to keep you protected while having a laugh at the same time! Will they look utterly ridiculous? Would their parents be ashamed? Will the photos be sufficiently embarrassing? If you answered all three with a ‘yes’, then you’re already halfway there. 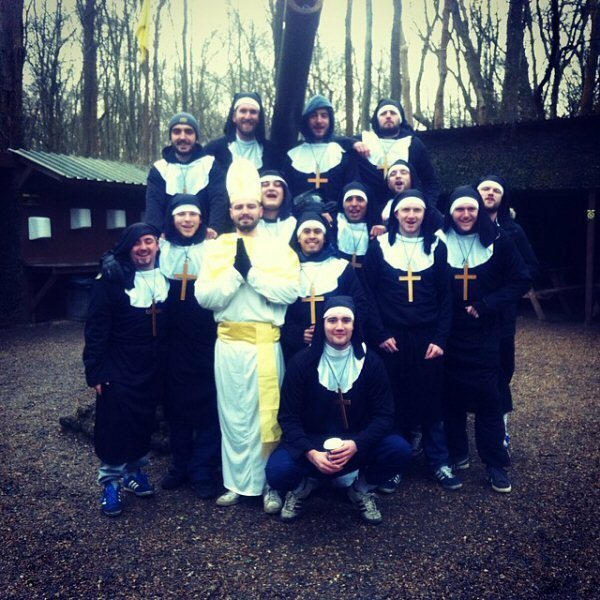 All you have to do now is purchase the offending items and turn up at one of our UK Paintball Centres! 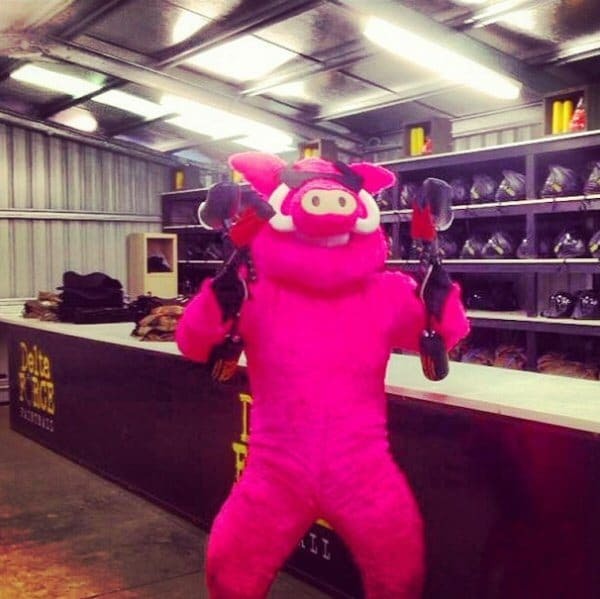 Don’t worry, you’re not hallucinating, that is indeed a pink pig standing there in basecamp, wearing sunglasses and holding two paintball machine guns. We think he looks pretty sty-lish. Jagshemash! 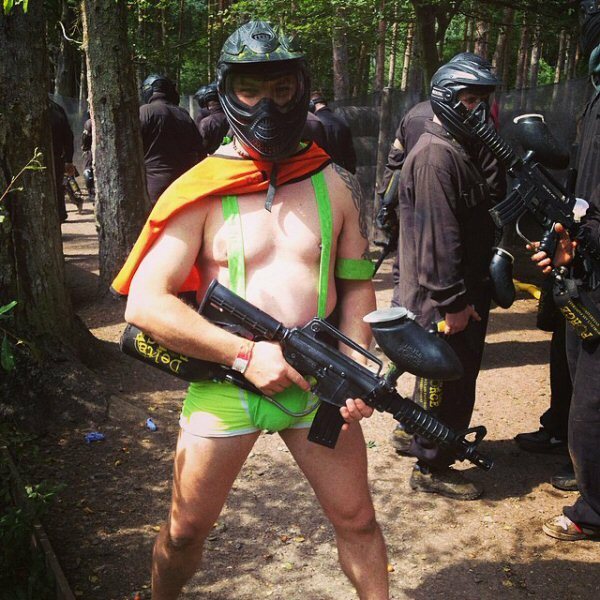 This mankini option is perfect for a cold winter’s day paintballing at Delta Force, especially when worn with a matching orange cape and protective headgear. 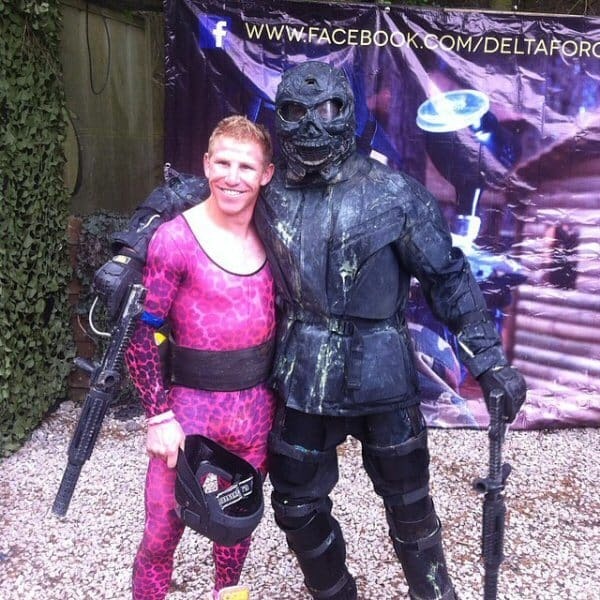 If there’s one thing your best mate will appreciate it’s an all-in-one pink spandex suit – perfect for streamline paintballing on a stag do. Darth Vader and his merry band of Stormtroopers felt right at home in our movie-set quality Space Warz game zone. Proof that the Pope does indeed shoot in the woods. Amen paintball brothers. The definition of a minion is a ‘small yellow creature’. 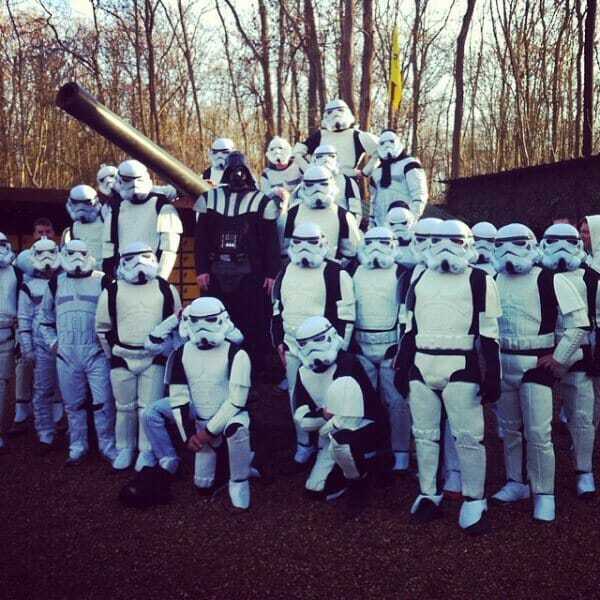 Just be sure not to confuse them with our friendly paintball marshals! 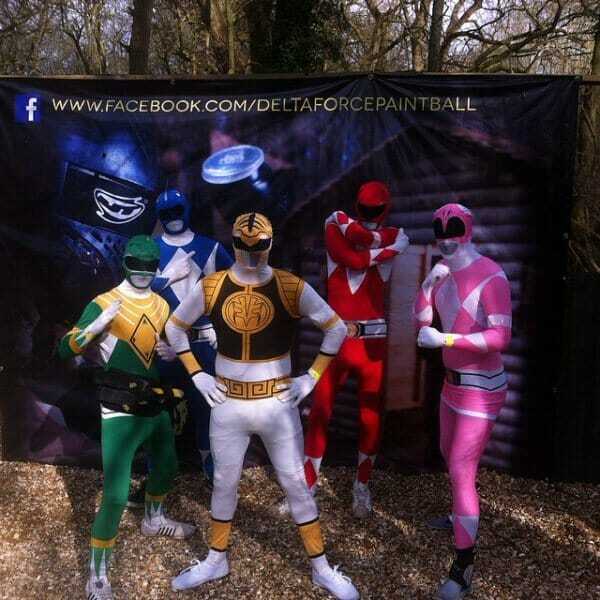 If you’re ready to discover a whole new world of fun, contact Delta Force – the UK’s Number 1 for paintball sports. Can you see yourself wearing one of these costumes? Why not get in touch on 0203 869 9301 and speak to a friendly event coordinator 24/7? Or alternatively visit the booking page to request a call back.